Before the internet, computers and faxes, there was Nancy Tait. In the days when most of the asbestos-injured were unable or reluctant to bring claims, it fell to a mesothelioma widow to take up the challenge. Through a tragic happenstance Nancy Tait, a former civil servant, found herself fighting the political, medical and scientific establishment to obtain justice for those who, like her husband Bill, had suffered the consequences of exposure to asbestos. Using carefully honed skills and a keen intelligence, Nancy exposed a situation long ignored  the national epidemic of asbestos-related diseases. That she was successful at helping others to navigate government bureaucracy and overcome obstacles thrown up by negligent employers at a time when communication was by letters and phone calls is testament to her meticulous record keeping, persistence, and civil service training. The Society for Prevention of Asbestos and Industrial Diseases that she established in 1978 was the first group anywhere in the world to lobby for the needs of asbestos victims. Nancy's death on February 13, 2009 came unexpectedly; individuals who knew Nancy personally as well as members of the global network of ban asbestos campaigners who only knew her by reputation are united in their grief for the death of this much-admired and remarkable woman. 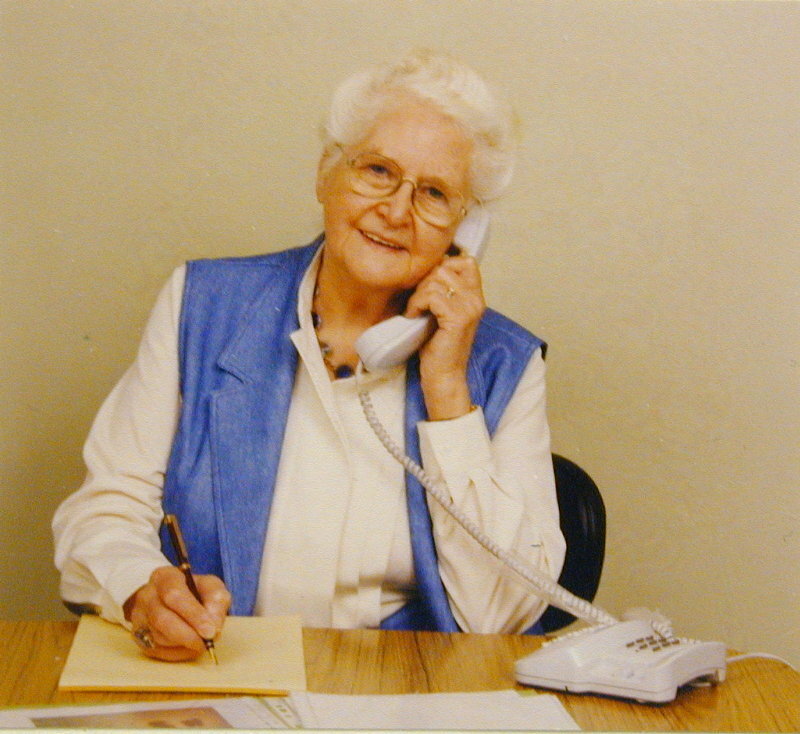 Nancy Tait, the renowned campaigner for the rights of asbestos victims, died in London on 13 February 2009, aged 89. She had been a leading figure in campaigns against asbestos for so long that it takes an effort to recall how different things were in the 1970s when she began her work. It was an era when the asbestos industry in the UK was in its pomp and when legitimate criticisms about its products provoked a massive £m publicity campaign that was designed to reassure the public about the supposed benefits and safety of asbestos. In the same year that the industry launched this campaign (1976), a small booklet appeared that was titled: Asbestos Kills. It offered a contrary discourse about asbestos and warned of the dangers of all types of the mineral. The author was Nancy Tait. She had good reason to dislike asbestos. She had been married to a telephone engineer, Bill Tait, who died in 1968 from pleural mesothelioma. Her knowledge of his working conditions led to a battle to establish a connection between his death and asbestos. Not until 1972, did the authorities admit that Bill's mesothelioma was due to occupational exposure, at which point the employers offered her a paltry £4,000 (which she refused). Systematic obstructionism by the employers, the government, and the medical community radicalised her into an asbestos activist, who attempted to highlight the dangers of asbestos and to fight for better compensation. In the early 1970s, she researched, lobbied, and helped victims from her house in north London. In 1978, spurred by the asbestos industry's well-financed lobbying efforts, Tait formally launched the Society for the Prevention of Asbestosis & Industrial Diseases (SPAID). SPAID (later renamed the Occupational & Environmental Diseases Association, or OEDA) was the forerunner of a string of asbestos victims' groups world-wide  making Nancy a pioneer. Her group, which was a registered charity, offered free advice and support to those with asbestos-related diseases (and other occupational illnesses) and their families. She discovered that the key to the problem was information and she became extraordinarily well-informed about asbestos  both from the scientific and legal standpoints. Characteristically, SPAID soon acquired an electron microscope for the analysis of asbestos fibres in lung tissue, for use in inquests and compensation cases. Inevitably, she was dismissed as an amateur by the scientific community, while the industry tried to discredit her. In 1976, their lobby group published a rebuttal of what it described as Mrs Nancy Tait's Thesis. But it had little effect and the asbestos industry never discovered a way to handle her. As a devout and respectable widow, whose life had been damaged by their product, the industry could hardly smear her as a left-wing subversive. At conferences or in inquest proceedings, she proved a formidable debater, who tackled her work with total seriousness and took no prisoners. Even personal-injury lawyers could get upbraided if they took too much in fees or refused to take on difficult cases, while trade unionists could also get criticised. In 1983, she famously walked out of an International Labor Organization convention in Geneva in protest at what she saw as unwarranted industry influence. Underlying this, however, was a powerful humanity that placed the victims of asbestos first. The Dust of Death and It was like a fog. March 2, 2009. One in 10 Doomed  How an entire generation of carpenters has been blighted by asbestos cancer and A deadly mix  no warning (the experience of mesothelioma sufferer Ernie White). March 3, 2009. Classroom killer was kept secret. March 4, 2009. Asbestos timebomb: Outrage of dying cancer victims forced to wait for their payouts. March 5, 2009. Asbestos timebomb: Cowboy bosses exposing workers to lethal asbestos. March 6, 2009. Asbestos timebomb: Scots to overturn Lords compensate ban. March 9, 2009. Asbestos Timebomb: Pupil will sue after 30 years and Asbestos city  a shocking 90% of schools in Greater Manchester contain deadly asbestos. March 10, 2009. How Turner & Newall condemned its workers to an agonising death. March 14, 2009. Law gives Scots cash for early asbestos lung disease but not English victims. March 13, 2009. Ronald Tetlow: No factory records, no payout. March 16, 2009. Asbestos in 90% of British schools. March 18, 2009. All-party MPs join our Asbestos Timebomb campaign. March 24, 2009. Establish a £10 million National Centre for Asbestos Related Diseases (NCARD). Reinstate compensation for pleural plaques victims. Set up an industry-funded Employers' Liability Insurance Bureau to provide compensation for sufferers who can't trace their employers' insurers. Mandate the establishment of a public register of all asbestos surveys carried out on public buildings. Provide the Health and Safety Executive with sufficient resources to meet its targets for inspecting asbestos removal work. This Bill is fundamentally flawed. It ignores clear medical opinion that plaques are symptomless, and do not cause other asbestos-related conditions. And the full cost implications of this measure which will be paid for by all Scottish taxpayers and firms, have been ignored. The Scottish Government has already admitted that its initial cost estimates were too low. From my experience, the official government data on asbestos-related mortality appears to represent the tip of the iceberg. From mid 2002, I have kept a running total of clients, company directors and taxi drivers etc., who have anecdotally reported to me the details of someone they've known closely who died from asbestos illness. As of February 2009, this running total of deaths stands at 94. Given that I personally speak to a minute fraction of the UK population, I can only assume that the actual asbestos death toll is far higher than is being reported. When I raised this subject at a London seminar in October 2007 with leading experts, they did not disagree with the figure of 40,000 - 60,000 annual UK deaths which I proposed. Replying to Paul Rowen's request for fundamental policy changes, Minister Sarah McCarthy-Fry avoided the main issues and instead offered superficial remedies. She stated that it is safer to manage asbestos than remove it, even though this policy has been responsible for frequent instances of widespread asbestos contamination and hazardous exposure to school users; the mesothelioma deaths of 178 schoolteachers are ample proof of the failure of this policy. The government has no real idea of the scale of the problem because over the decades they have refused to carry out an audit or a risk assessment. Compounding the problem is the lack of government training and funding that is essential so that their policy of asbestos management actually can work. It is ironic that even though the UK was the first country to adopt legislation to minimize hazardous occupational exposures (Asbestos Regulations 1931), the national asbestos epidemic continues unabated. For far too long, successive governments have ignored the warnings of those with first-hand experience of this tragedy; the disinterest of the media and the lack of public awareness have allowed them to do so. The recent build-up of interest as evinced by the many developments detailed in this report could mark a turning point  watch this space! Lung Cancer Mortality and Fiber Exposures among North Carolina Asbestos Textile Workers,24 published online on March 11, 2009, provides further evidence that exposure to chrysotile asbestos in textile manufacturing is associated with increased risk of lung cancer, asbestosis, cancer of the pleura and mesothelioma. A follow-up of 5,770 workers revealed that mortality from all causes, including cancer, was higher than expected. There were elevated standardized mortality ratios for pleural cancer, mesothelioma and pneumoconiosis; the risk of asbestosis and lung cancer rose with cumulative fiber exposure. there is sufficient evidence that all forms of asbestos (actinolite, amosite, anthophyllite, chrysotile, crocidolite, tremolite) cause mesothelioma as well as lung, laryngeal and ovarian cancers in humans. There is sufficient evidence in animals to show that all forms of asbestos cause lung cancer and mesothelioma. There is limited evidence that asbestos exposure causes pharynx cancer, stomach cancer and gastrointestinal (GI) cancers. The evidence on GI cancers was the strongest of these three and the Working Group vote was evenly split between limited and sufficient evidence for this site. November 25, 2008: A verdict of death by industrial disease was handed down after an inquest in Leeds into the mesothelioma death of 58-year-old actor David Nichols who was exposed to asbestos whilst working at the Beans Industries factory in Tipton, West Midlands. 1 See also: Kazan-Allen L. In Memory of Nancy Tait. February 18, 2009. Early Day Motion: Work of Mrs. Nancy Tait MBE. February 24, 2009. The Last Word. BBC  Radio 4  February 27, 2009. Davies R. A dignified campaigner. 2 Peto J, Rake C, Gilham C, Hatch J. Occupational, domestic and environmental mesothelioma risks in Britain. RR 696 Research Report. Health and Safety Executive. Published 2009. 5 Cook E. 200,000 Will Die in Asbestos Timebomb. February 21, 2009. Daily Mirror. 6 As of April 1, 2009, there were 2,153 signatures. 7 Early Day Motion: The Daily Mirror Asbestos Time Bomb Campaign. March 10, 2009. 8 Kazan-Allen L. Action Mesothelioma Day. March 12, 2009. 9 Early Day Motion 879: Action Mesothelioma 2009 Campaign. February 24, 2009. 10 Employers' Liability Insurance Bureau Bill Launched. March 11, 2009. 11 The new law also covers people with pleural thickening and asbestosis. 12 There are varying predictions of the financial impact of the new law, with the Government estimating costs at between £7 million and £19 million in the next decade and the insurance industry claiming costs will average between £76 million and £607 million over the next 20 years. Asbestos victims get new powers to claim compensation. March 11, 2009. The Daily Record. 13 Gordon T. Insurance giants to challenge new asbestos legislation. March 7, 2009. 15 CAA Press Release: Campaigners Win Victory for Pleural Plaque Sufferers. March 11, 2009. 16 Butcher J. Minister hints at cash for pleural plaques victims. March 4, 2009. Evening Chronicle. 18 Mesothelioma Mortality in Great Britain: Analyses by Geographical Area and Occupation 2005. HSE. 19 Email from Ian Pass to Laurie Kazan-Allen. March 23, 2009. The annual figure of 40,000-60,000 includes deaths recorded as due to other causes such as lung cancer or emphysema or where asbestos disease might have been a substantial part of the cause of death but not, according to the certifying doctor, the primary cause. 20 Asbestos Debate. March 25, 2009. Hansards Column 124WH-132 WH. See also: Early Day Motion 1204: Asbestos in Schools. March 26, 2009. 22 BBC Inside Out Southeast broadcast 25 March, 2009. 23 Rake C, Gilham C, Hatch J, Darnton A, Hodgson J and Peto J. Occupational, domestic and environmental mesothelioma risks in the British population: a case-control study. British Journal of Cancer (2009), 1-9. 24 Loomis D, Dement JM, Wolf SH, Richardson DB. Lung Cancer Mortality and Fiber Exposures among North Carolina Asbestos Textile Workers, Occupational and Environmental Medicine, published online March 11, 2009 by the BMJ Publishing Group Ltd.